If you are anything like me, you might find yourself craving a long, relaxing dip in the traditional Japanese hot spring (known as onsen 温泉) after a long day at work. But how do you go about locating your local bath house? Lets take a look at some handy onsen location resources. If you have been in Japan for any length of time, you have probably come across the above mark on maps and road signs. 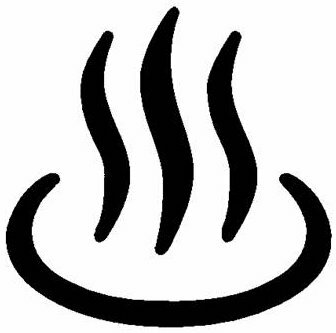 The "onsen mark" is pretty much uniformly used across the land to indicate facilities with baths. Since most onsen are made by drilling into naturally hot underground spring water, many are located far away from town centers, usually up in the mountains. Also, many onsen are attached to hotels and therefore they only keep limited hours for non-over night patrons or simply refuse customers without reservations. 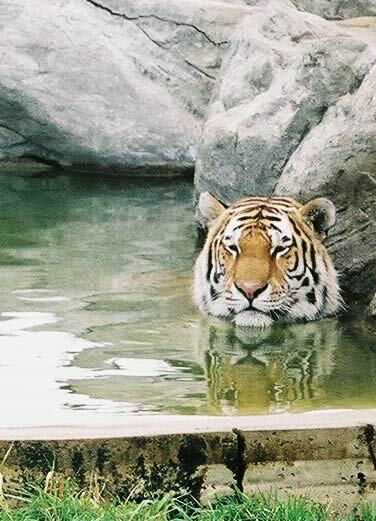 Therefore, if you are hankering for a hot bath then its best to plan ahead and find out what onsen are open in your area. Hot springs that allow for drop-in visitors are called hi-gaeri onsen (日帰り温泉). For those with basic Japanese skills, there are plenty of resources available to you. The mapping website, Mapple, offers a full onsen guide by region. Mapple's competitor, Rurubu.com, also offers a similar guide. Both guides point out amenities like roten buro (露天風呂 or open-air baths that usually offer a scenic view), dining facilities (shokuji shisetsu 食事施設), car parks (chushajo 駐車場) and so on. If you are hip with the iPhone crowd, there is a nice free application called onsen sagashi (温泉さがし or "onsen search") where you can use the phone's built in GPS to locate info on near by springs. Finally, many areas that are well know for their onsen may have their own multi-lingual guides available. For instance, Beppu in Oita is extremely famous for the quality and quantity of its springs and maintains a relatively useful English language website. Other areas such as Nagano and Niigata also have onsen tourism available in English. I don't suppose you know of anyone onsen that allowed tattoo'd people in? I have a tattoo and have never been turned away. I think it depends on the size. If you can't easily cover it with a towel then you may have trouble. There are some onsen (Asakusa in Tokyo has one, for example) that allow tattoos after a certain time. I have a lot of tattoos and some are large but they are certainly not Yakuza tattoos. I've never had problems at hotels but I'm afraid to try local onsens for fear they won't let me in. Can't find the iphone app you were talking about - that would definitely be the most useful thing of the bunch! Princepessa- The strictness of tattoo regulations generally differs from onsen to onsen. For the most part, if you don't have full body tattoos and/or larged colored tattoo then you should be fine. As long as you don't come in with a jogging suit, a dude-perm, and plastic sandles then you should be fine. Benjammin-- To the best of my knowledge, the onsen app is only on the Japanese iTunes store. Try searching there. There are over a 100 public baths in. The official site only lists municipal onsen. For a much longer (yet still far from complete) list of baths in Beppu check out my website onsenmeijin.com.